In support of Burns’ thesis, IBM and GM revealed new details on Monday on the car’s electronic backbone and how it came together in 29 months, from concept to finish. 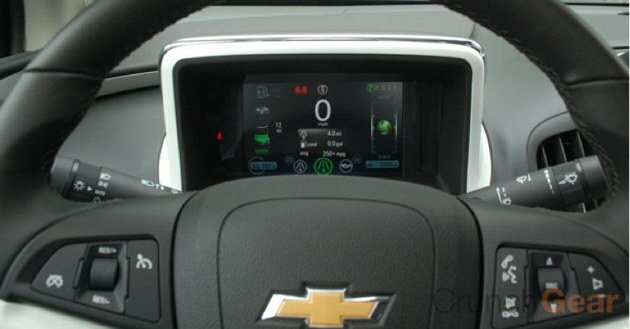 Although the Volt is far from the first car with computer functionality, it is a major technological step forward for GM. According to IBM, the Volt is equipped with 100 electronic controllers, its very own IP address and roughly 10 million lines of software code. That’s far more than its peers and, according to Robert LeBlanc, SVP of IBM’s Middleware Software, that’s also more than today’s Boeing 787 Dreamliner which features a paltry 8 million lines of code. “Think of it as a data center and computer on wheels,” LeBlanc says. Given the Volt’s reliance on its software and electronic components, it’s no wonder that GM relied heavily on IBM’s software to put all the pieces together. As explained in Monday’s press release, GM used IBM’s suite of Rational software products (which includes design and simulation tools) “to develop some of the Volt’s critical electronic controls for the vehicle’s innovative battery system, electric drive unit, and cabin electronics.” According to LeBlanc, IBM’s software allowed disparate engineering teams to collaborate, put products to the test and it helped them model and better understand how various electronic systems would interact. That’s a significant departure from the past, when GM’s engineering teams would develop components independently, with minimal sharing during the development process. Here’s GM’s promotional video on the Volt’s computer system and its relationship with IBM. For more information on the Volt, check out recent CrunchGear articles here.